April was a weird month for me. I spend 3 weeks out of 4 doing exams and only really finished two days ago. Also because of exams, I really didn’t have a ton of time to do beauty stuff (no matter how much I wanted to). That means that I’ve got few favourites this month, so that’ll keep this post short and sweet. – Warmer weather (and stress) means my skin has started to be less dry and more oily. For nighttime, my heavy masks and creams were too much, so I brought back out my Origins Night-a-mins Oil-Free. I love the way the salicylic acid in it makes my skin look and feel the next morning, and the oil-free-ness is just the right texture for me right now. – I finished my old body scrub, which means I needed a new one. The Body Shop Early Harvest Raspberry Scrub is so good that I went back and bought a backup because it’s limited edition. It looks and smells like raspberry jam, and has real raspberry seeds in there to help exfoliate. Omnomnom. – I also finished my Aveda Be Curly Curl Enhancer and needed a new leave-in STAT. So I picked up the Mixed Chicks Leave-In Conditioner. It doesn’t have as much hold as the Aveda, but it feels more nourishing and gives more definition. So far so good! – I’ve already raved about the Laura Mercier Oil-Free Tinted Moisturizer. I’ve really liked it as a sheer base recently. 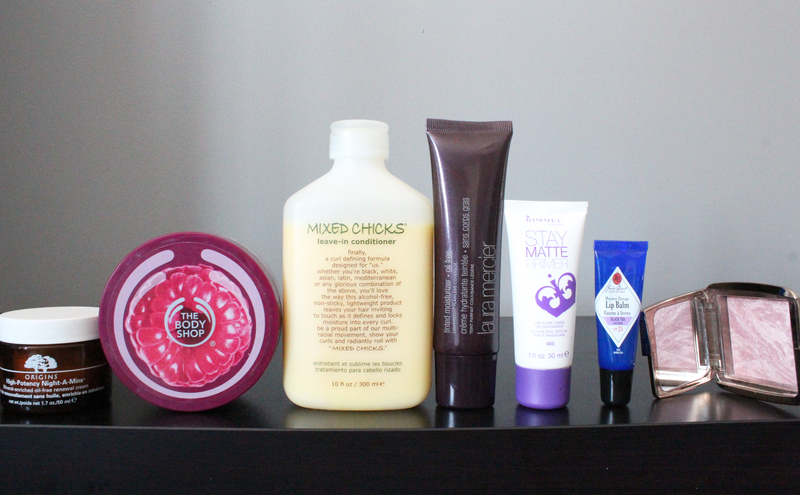 – For the past month or so, I’ve been testing out the Rimmel Stay Matte Primer. I’ll have a detailed review on it soon once I’ve gathered my thoughts properly, but so far, I really like it. It has a very odd texture, unlike any primer I’ve seen before. But more of that later. – The Jack Black Lip Balm in Black Tea and Blackberry has become another favourite. No surprise there! – And finally for products, I picked up a second shade of the Hourglass Ambient Lighting Blush, this time in Mood Exposure. It’s a brownish-pinkish-purple that I didn’t think would show up on my skin, but it gives the most natural flush. It’s really beautiful. – My favourite app this month has been 2048. 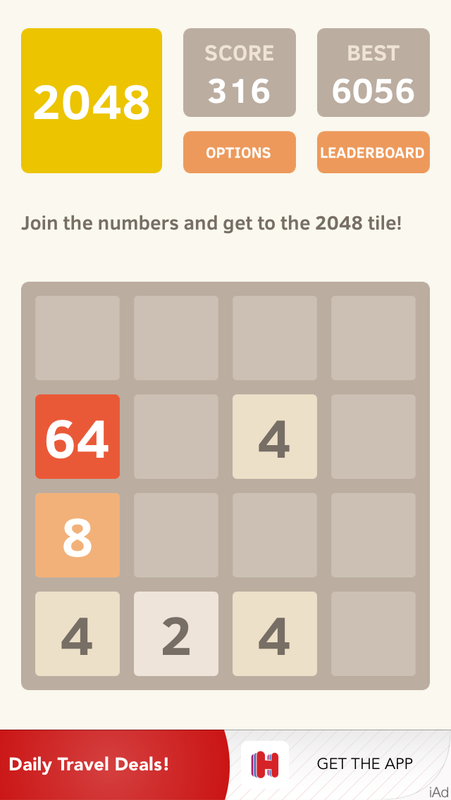 I’m sure everyone knows about it by now, but in case you don’t, it’s a puzzle game where you have to combine the numbers to get to the 2048 tile. I still haven’t gotten to it. It’s frustrating but fun. – My favourite show this month has been Archer. I got through four seasons in about a week because the seasons and episodes are short. They made for the perfect study break because each episode was only 20 minutes or so long, and it’s available on Netflix. If you like crude but clever humour, this one’s for you.